I acquired my Real Estate license in 1994 from Ward Elliot Real Estate School in Bowling Green, KY. I am also a graduate of Western Kentucky University. Native of the community here, I grew up in Glendale, and I now reside in Elizabethtown. I hope this community will give you as much warmth and happiness as it has given to me and my family. I would like the opportunity to assist you in your real estate needs. I will work diligently for you and your family whether you are buying your first home, vacation home or investment property; as well as making the sale of your home a smooth, communicative and successful experience. 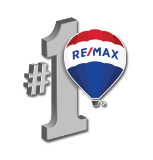 I am blessed to be a part of the Clinkenbeard Team here at ReMax Executive Group Inc and I feel as if I and the Clinkenbeard Team can give you the best service that is honest, supportive and SMART. Our marketing is impressive and knowledge of the area extensive. Please consider my services in your relocation due to BRAC. My grandfather is retired Army, and my father a Vietnam Veteran, as it was Ft. Knox and the military in which landed my family in this wonderful community. I am a member of the Glendale Christian Church, a Kentucky Colonel, Assistant Scout Master of Troop 303 for the past 10 years, and an East Hardin High School Alumni. My family and I are true lake rats-we spend our family time at Nolin Lake boating, tubing, skiing, and soaking up the sun. My son attends John Hardin High School and is involved in Cross Country, Track, Guitar & Drums, Martial Arts, and Boy Scouts. I enjoy hiking, boating, cooking, camping, Martial Arts and spending time with family and friends. If I can be of any assistance to you-any questions about our community, kid programs, clubs, anything...please do not hesitate to call my cell phone anytime 270-300-6224.